The CD154 antigen (CD40-ligand), also known as TRAP (Tumor necrosis factor Related Activation Protein), is a member of the Tumor Necrosis Factor (TNF) superfamily. It is a 32 kDa type II transmembrane molecule. 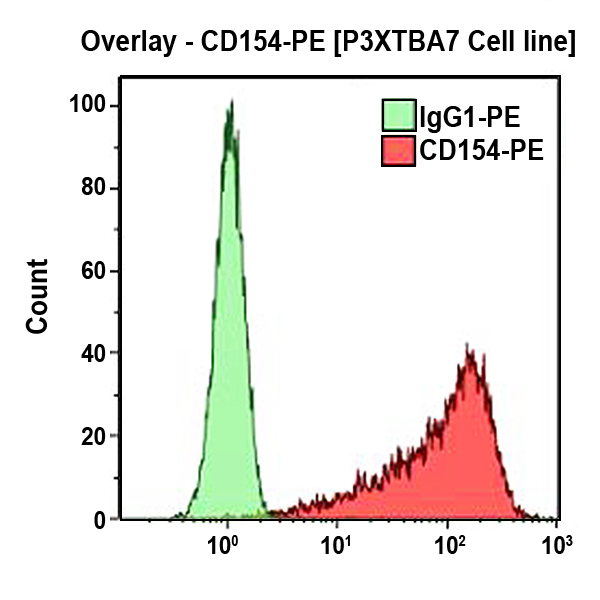 CD154 molecule is induced on the surface of activated T cells, mainly on CD4+ T lymphocytes. This ligand for the CD40 molecule is present on some basophils and mast cells. It has critical regulatory roles in T- and B-lymphocyte function. Clone Description The TRAP-1 antibody inhibits activation induced by full-length soluble human CD154.